Just like any other home appliance, the Pizzeria Pronto takes a little practice to dial things in. Between learning how to make dough and learning how to move a raw pizza, there’s a small learning curve to navigate before you become a pizza pro. In addition to this, every now and then you might experience an oven issue that requires some troubleshooting. The most common issue we get asked about is the oven’s ignition. Today we’ll address common problems when lighting the Pizzeria Pronto and how to fix them. How Does the Ignition Work? The ignition in the Pizzeria Pronto is a simple device that’s been a barbecue standard for years - it’s called a piezo ignition. The piezo ignition uses a spring-loaded piston that transfers kinetic energy to a box which contains conductive metals. Once the piston hits the box, electric current is generated and travels down a small rubber coated wire to the igniter tip. 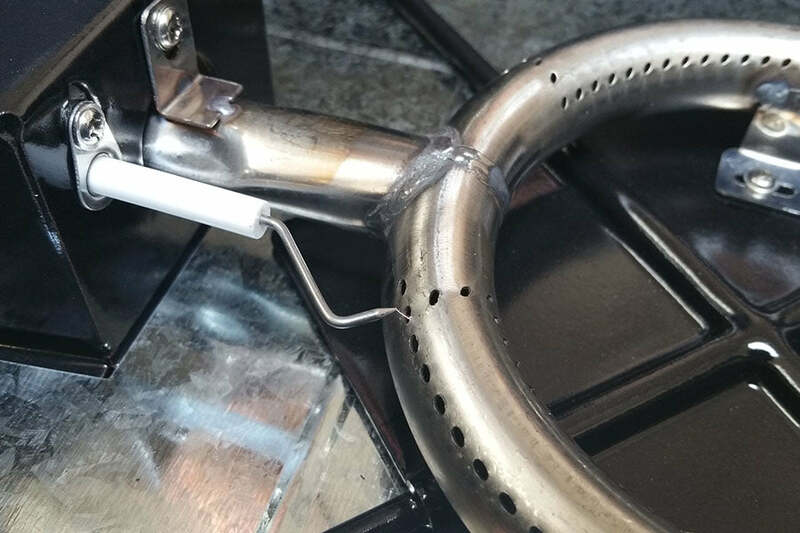 The tip is positioned close enough to the burner that an electrical arc is made, which ignites the gas coming out of the burner tube. My Igniter Isn’t Working, What’s Wrong? 1. Check to make sure the black starter wire is connected to the starter plug. – This is the most overlooked portion of assembling your pizza oven and it’s commonly the reason why the oven will not light. If this cable isn’t connected, the electricity from the piezo ignition will never turn into the spark that lights the oven. See the photo below for an in-depth look. 2. Disassemble the oven and check for a visible spark. – Once you’re sure the starter wire is securely connected, it’s a good idea to disassemble the oven and visually check for a spark. Remove the oven hood and stones, and then disconnect the propane tank. When you fully turn the temperature knob you’ll hear the igniter click and you should see a small spark jump from the igniter tip to the burner ring. It may be hard to see in bright sun. If you can see a spark, move on to step 4. 3. Check to make sure the piezo is making a “clicking” sound when you turn the temperature knob to the “high” position – If you don’t hear this clicking sound when you try to turn the oven on there may be something wrong with the piston inside the piezo and you may need a replacement part. 4. 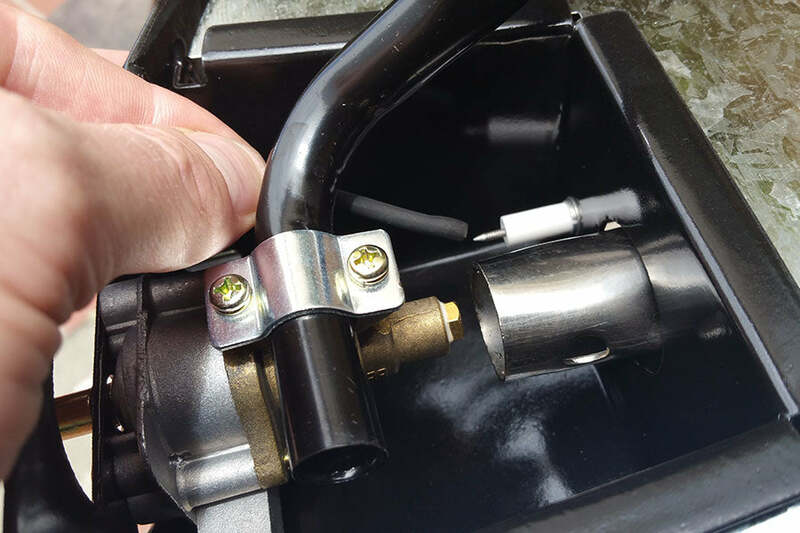 Check to make sure the ignition tip is at the proper distance from the gas burner ring – Although it’s pretty rare for the ignition tip to be out of place, it’s a possibility that shouldn’t be looked over. Your oven comes from the factory with this distance already properly set, but if anything has come into contact with the tip it may have been bent or moved too far or too close to the burner ring. See the photo below for an in-depth look. Aside from troubleshooting, there are a few things you can do that may make lighting the oven easier. Sometimes there may be a small delay when the gas travels from the tank, up the regulator hose, and out of the burner ring – especially if you’ve just connected a fresh tank. If your oven doesn’t light with the first click of the piezo, turn the knob 2-3 more times in quick succession. Be sure to immediately turn the gas knob back to the “off” position so that unburned propane does not fill the oven. If the oven does not light within three attempts, do not continue to click the starter. If unburned propane builds up inside the oven it’s necessary to take 2-3 minutes of rest to allow the gas to dissipate. Failure to follow this rule could cause damage to the oven, or worse, personal injury. In the beginning of the owner’s manual you’ll also see a warning against looking into the oven opening while lighting – this is extremely important. It’s tempting to look into the oven opening to check for flames, but this is pointless as you cannot see the burner by looking into the front of the oven. Instead, look through the flame viewing hole located on the right side of the oven. 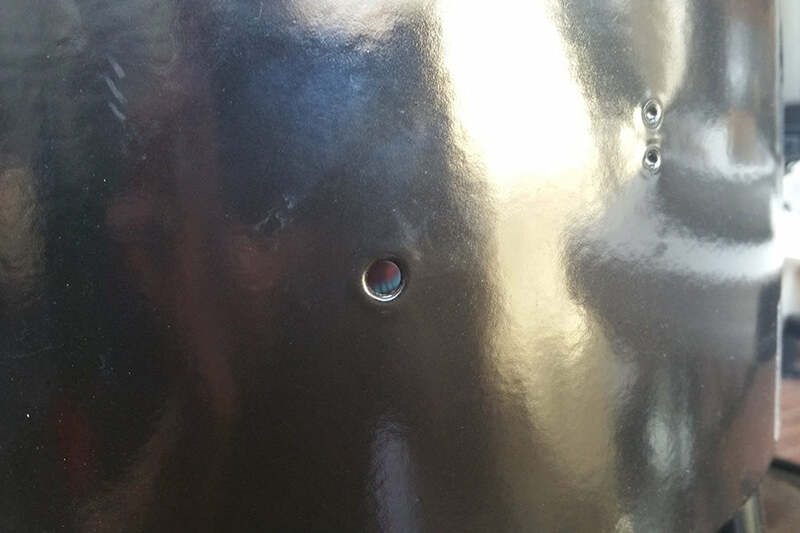 This hole was designed to allow you to safely check and see if the oven has properly ignited. If you’ve tried the above technique and had no luck, don’t worry, we’ve also written a set of alternate lighting instructions. These instructions will allow you to light your pizza oven regardless of whether or not the piezo ignition is working. Last but not least, if all of the above suggestions don’t solve your problem just give us a call! At the Pizzacraft headquarters there’s always someone standing by on the phones to help with any problem. The Pizzeria Pronto is an amazing product that we strongly stand behind – so we want you to have the best experience possible while making pizza! Or use our live chat at the bottom of the page! I installed ignitor as instructed. measured 3-4 mm from burner and spark is reliably seen arcing from needle to area around a gas hole. It almost never works! I would say maybe 1 time out of 25 tries. Then the instructions have the audacity to use a match! Poor design. I think I’ll tell all my friends on the Internet. It does make good pizza once I light it with a match.